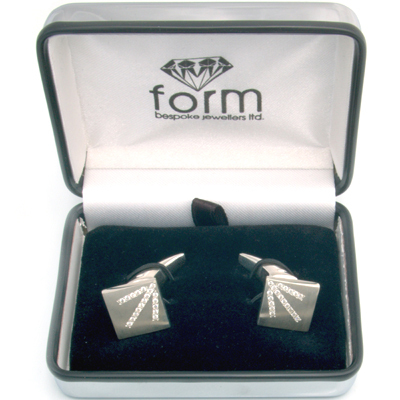 Silver ‘Scintillate’ Diamond Set Tooth Cufflinks — Form Bespoke Jewellers Ltd.
Part of the Silver Cufflink Collection. The sparkling ‘Scintillate Range’ has been designed to provide that extra bling to any outfit. You can choose to have diamonds or coloured precious stones (or both!) handset into this design to suit your unique style and budget.